Create the ultimate staycation in your backyard. With over 60,000 pools built nationwide. We're ready to build the swimming pool of your dreams. 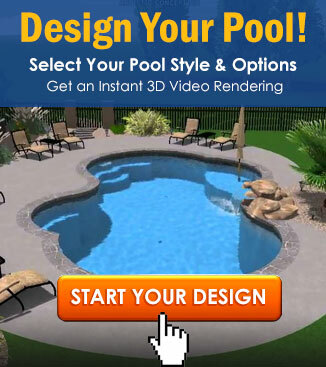 Premier Pools and Spas offers each client a design process that is unmatched in this area and can custom build your existing or new home and outdoor living space into an interactive and scaled 3D design to eliminate the guess work in what your project will look like when completed. Premier offers every client the most efficient and economical pool by hydraulically engineering the entire plumbing and circulation system and properly sizing all plumbing, equipment and fittings to provide a system that is safe, efficient and saves you money now and for years to come. Give us a call today to see how the area’s premier pool contractors can help you with your swimming pool dreams! Premier Pools & Spas of Gulf Coast are professional swimming pool builders servicing the Gulf Coast Alabama / Florida Area. We service Mobile, Saraland, Daphne, Fairhope, Foley, Point Clear, Spanish Fort, Orange Beach, Loxley, Robertsdale, Gulf Shores, Foley, Pensacola, Milton, and Navarre. If you’re looking for a pool contractor anywhere in Baldwin county you’ve found the right one. Premier Pools & Spas of Gulf Coast can build you a perfect backyard oasis! Are you ready to build a new swimming pool in Gulf Coast, AL / FL area? We are extremely honored to be ranked the #1 Pool Builder in America by Pool & Spa News. Our business has been family-owned and operated for over 30 years, and during then we’ve accomplished building over 70,000 swimming pools by referral of our delighted customers. Premier Pools & Spas of Gulf Coast would love the opportunity to make your backyard dreams come true. Contact us today!